MultiBrief: Front sight focus or point shooting: Which is better? This is a can of worms that divides the shooting world almost as much as the 9 mm vs. .45 debate. No matter which side of the debate you’re on, you’ve probably got some valid points…and some that aren’t so valid. Front sight focus shooting is where you focus on the front sight and let your target and rear sight get blurry. Sometimes, it’s called "aimed" shooting, but that’s not always accurate. 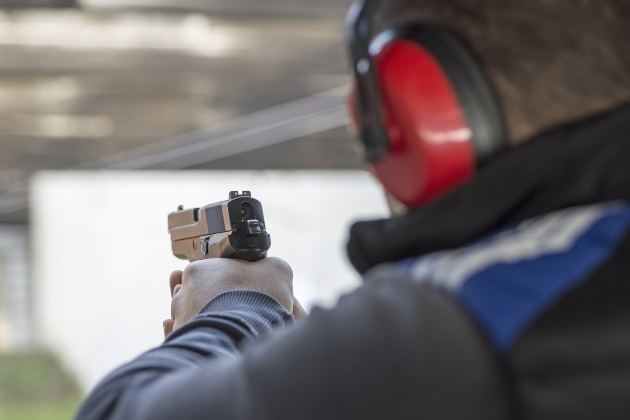 There are several names for "point shooting," including "threat focus shooting," "combat focus shooting," "instinctive shooting," "hip shooting," "unsighted shooting" and more. It’s more forgiving of a bad or inconsistent grip. It depends primarily on the visual system for aiming. Point shooting can be faster if you’re wearing bifocals, trifocals, or progressives. With bifocals and trifocals, it’s difficult to tilt your head to where you can see your sights. "front sight for distance, point shooting for close up"
"front sight when you’ve got time, point shooting when you need speed"
"front sight for precision, point shooting for combat accurate groups"
All of the problems with each technique and all of the answers to the question, “which is better?” presume that it’s an either/or answer. It’s the exact training technique I used to shoot the fifth fastest recorded IDPA classifier time in the world with a subcompact (20.8), even though I only practice a few minutes a day, a few times a week and I didn’t know we were going to shoot the classifier until I showed up for the match.